With the exception of the numerous tree-eating pests that damage forests in Maine, most non-Mainers don’t associate the state with problematic insect pests issues. Although Maine may not be home to dangerous scorpions or an abundance of economically costly termite infestations, it would be a mistake to assume that Main’s residents are free from injurious or damaging household insect pests. For example, a variety of venomous bees, wasps and spiders are known to infest homes in Maine. And while termites are not a big problem in the state, residential homes still sustain structural damage from carpenter ants and powderpost beetles. In fact, Maine is home to household insect pests that many outsiders have never heard of before. For example, it is not uncommon for homes in Maine to become infested with two particular insects that are often confused with one another on account of their similar appearance and pest behaviors. These insects are commonly known as firebrats and silverfish, and although they may not bite or spread disease, they both cause differing degrees of property destruction, and both can become a significant nuisance within structures. Many people have heard of silverfish, but are not sure what they are, or even look like. House centipedes are sometimes mistakenly referred to as silverfish, but a silverfish resembles a sea-creature more than an insect due to its shrimp like shape and scaley exterior. 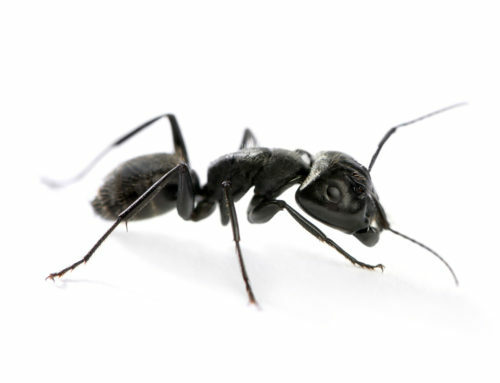 These insects hide in homes during the day and search for sugary and starchy foods at night. Silverfish dwell in cool and moist indoor hideaways that are around 70 to 80 degrees fahrenheit in temperature. Luckily, these insects rarely become numerous within households, as females only lay 100 eggs during their lifetime, but they can live for up to 8 years. When infestations do become large in number, these insects can damage wallpaper, bookbindings, cereals, leather, fur, silk and rayon. Firebrats are similar in appearance to silverfish, but these insects can become more numerous and damaging within a home. Firebrats prefer conditions that are at least 90 degrees fahrenheit, which makes furnaces, hot water pipes/tanks and areas near stoves ideal living conditions for these insect pests. Like silverfish, firebrats also prefer to feed on starchy foods, but they also prefer to eat protein contained within petfood and flour. Firebrats are largely a nuisance, but they damage all of the same materials that silverfish damage and they contaminate human food sources. Perhaps worst of all, they stain clothing, furniture and other materials with their feces. Had you ever heard of silverfish? If you have, did you know what they looked like?